HOME > sodoma beccafumi recents restoration - . . . RESTORATION PAINTING ON CANVAS OF MARIO SCHIFANO "GRUNDIG"
The great work painted in oil on a wooden support composed by nine poplar planks arranged horizontally crossed by three cross pieces of white fir, measuring 392.5 cm x 278.0 cm. The restoration was carried out by our firm in the Church of the Knights and was directed by Alba Macripò, Art Historian of the Superintendent BAPSAE of Pisa and Livorno. The works lasted for approximately sixteen months. Numerous non-invasive scientific investigations were conducted: LV, LR, UV, UV-False color, IR, IR-False colre, RX, XRF, Photomicrographs False-color. The movements of the wooden support were monitored by Prof. Luca Uzielli and his Staff (GESAAF). The painting has undergone in the past years several restorations with rough cleaning and repainting. It also appeared severely damaged by water infiltration from a crack in the roof near the altar where it was placed. The restoration was funded by Esselunga. 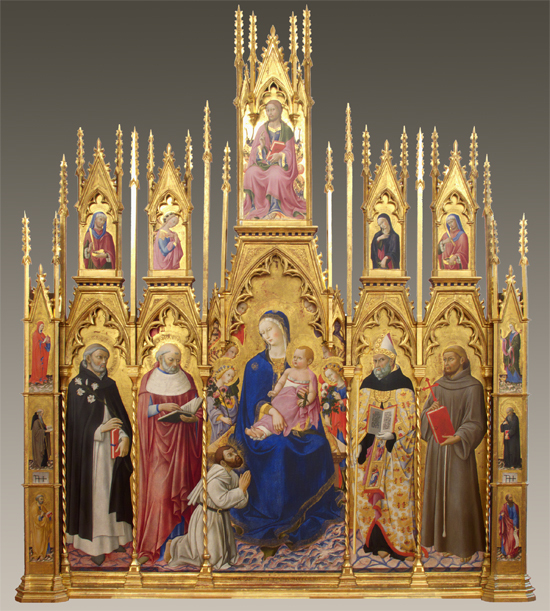 The polyptych is one of the biggest realized by the author, measuring 335 cm x 291 cm. It is the first work by Sano di Pietro, signed and dated, and it is recognized by critics as the most important achievement by the artist. The restoration was carried out by our Studio in the National Gallery in Siena and was directed by Anna Maria Guiducci, director of the Gallery. The works lasted about six months. Several non-invasive diagnostic tests were conducted in cooperation with the Opificio delle Pietre Dure and the CNR. The polyptych, that underwent several restorations in the past, appeared disfigured by layers of blackened purple, by fake patina, old stucco, and some damages caused by inadequate cleaning attempts were especially evident in the blue mantle of the Madonna, painted with lapislazuli. The restoration was funded by Vernice Progetti Culturali srl of Monte dei Paschi Foundation in order to expose the masterpiece in Santa Maria della Scala museum complex on the occasion of the largest exhibition event that the city of Siena has organized in recent years: “From Jacopo Della Quercia to Donatello. The Arts in Siena in the early Renaissance”. The exhibition lasts from March 26th to July 11th,2010 and it is curated by Max Seidel of the Max-Plank Institut in Florence. 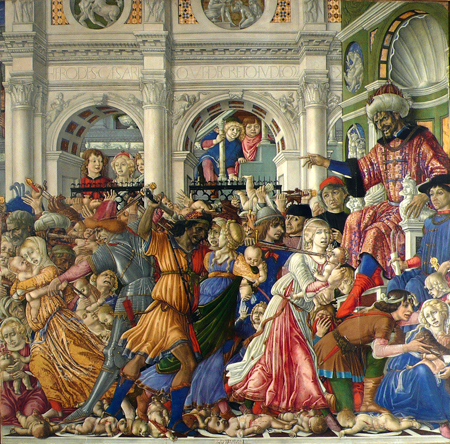 This very large painting on an arcuate panel is one of the most important works by Sodoma. 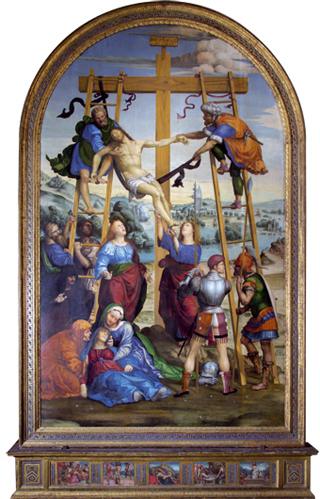 The panel measures 414 x 264 cm and the predella 45 x 281 cm. The state of preservation was not good, since there were numerous delaminations of the ground and paint layers. The work was restored on-site and remained on view to the public during the localized vacuum consolidation interventions. 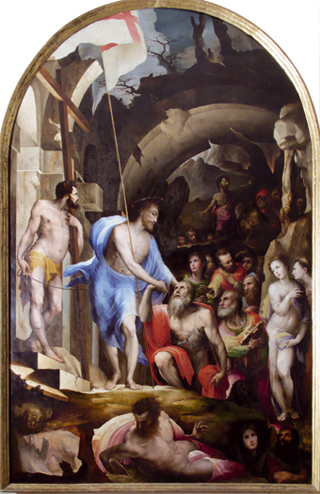 This large painting on an arcuate panel is one of the most important works by Beccafumi. 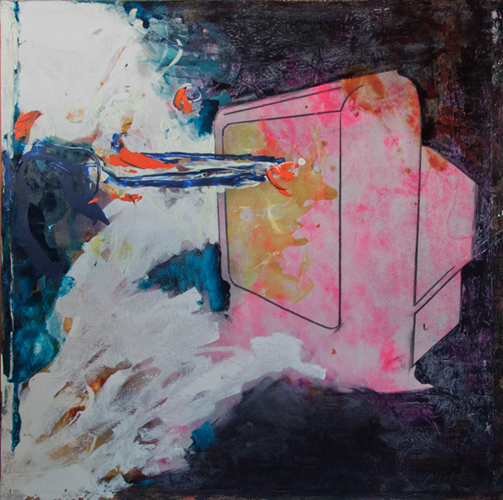 The panel measures 395 x 255 cm. 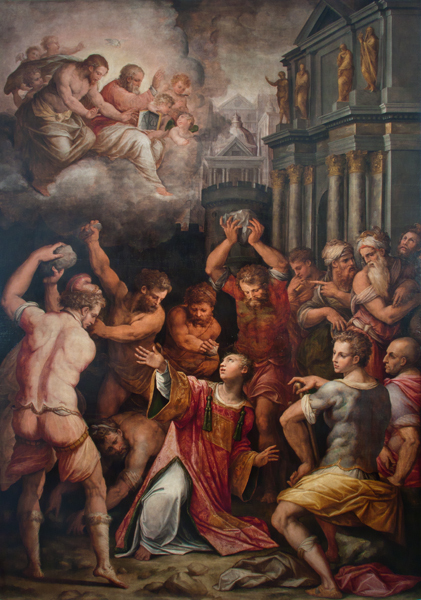 Like the work by Sodoma, this painting presented numerous delaminations of the ground and paint layers. The work was restored on-site and remained on view to the public during the localized vacuum consolidation interventions. The wooden case dates back to the sixteenth century and it is high over 550 cm and wide 400 cm. The instrument and case were in very poor conditions: in the pediment, capitals and columns deficiencies reached about 50% of the entire golden surface. 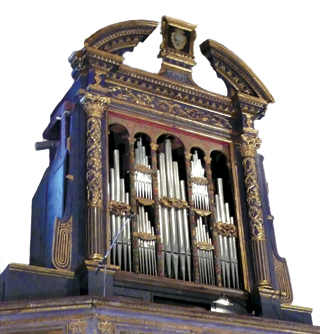 Of course, in addition to the case, all the mechanical parts of the instrument have been restored by Paolo Ciabatti. These are some of the artists of Contemporary Art whose works have been recently restored by our studio for important international collectors and art galleries. The fresco of Arezzo area, dated 148(3-5), shows the enthroned Madonna and Child crowned by two angels at the top and at the sides of the throne two angels musicians, S. Antonio Abate and S. Romualdo. The painting on wooden panel showed very large and marked detachments of the paint film. The work was restored on-site and remained on view to the public during the localized vacuum consolidation interventions.